ಎಲ್ಲರಿಗೂ ಗಣೇಶ ಚತುರ್ಥಿಯ ಶುಭಾಶಯಗಳು ! 1 Response to ಗಣೇಶ ಸೃಷ್ಟಿ ! 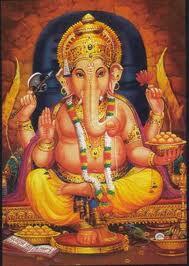 This song of story behind elephant’s face to Lord Ganesha written By unknown author. If anyone knows it, please let me know too.